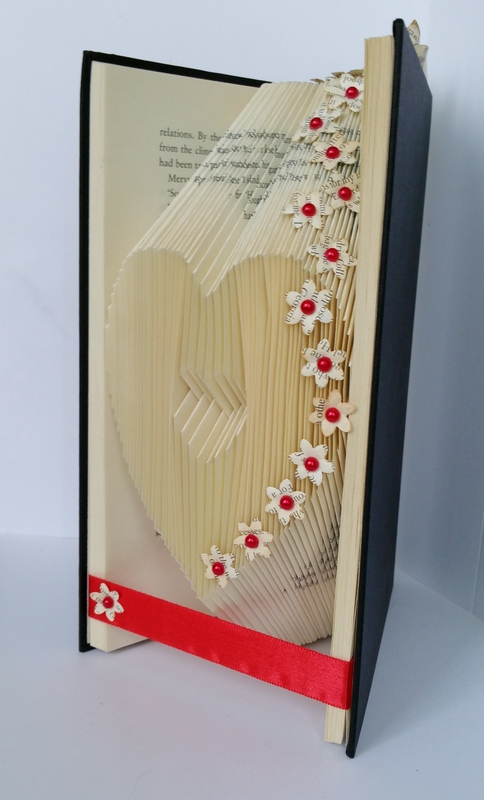 Well its February, the snowdrops and daffodils are out, spring is definitely in the air, and we are back to our weekly Saturday crafty aftys. 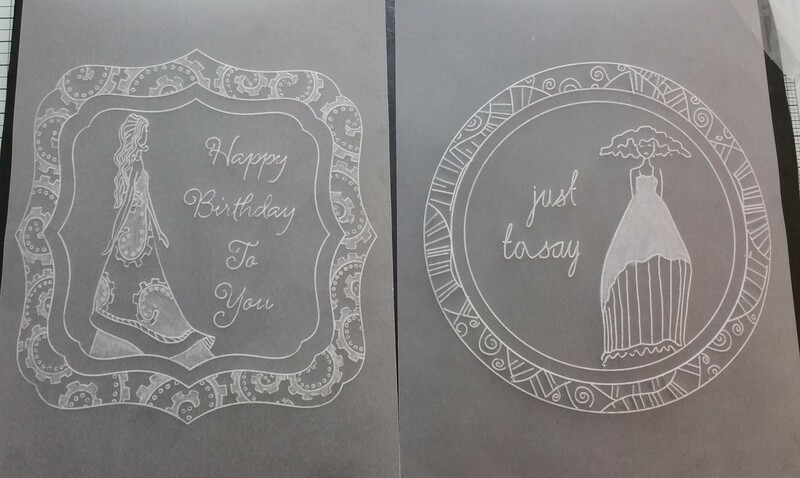 For our first session back in the craft room I thought we should go back to the basics with stamping. 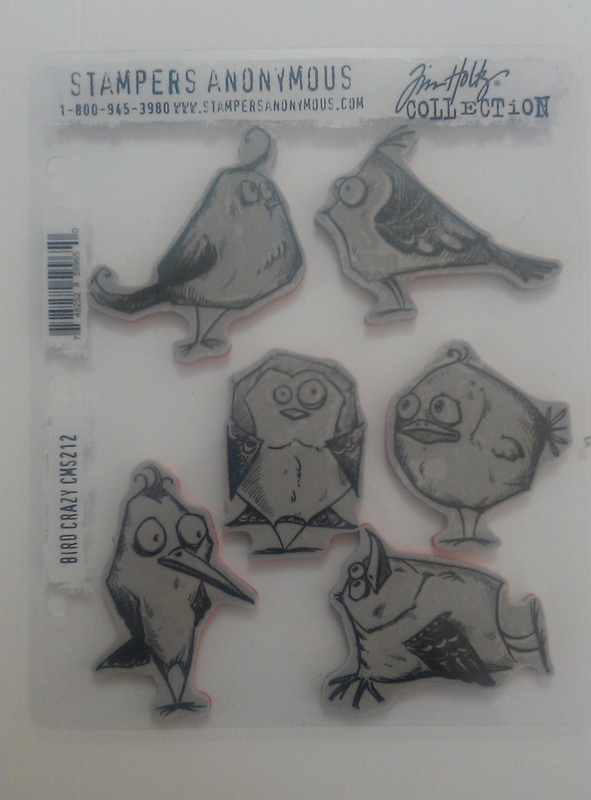 using these little fellows Tim Holtz, Crazy birds. 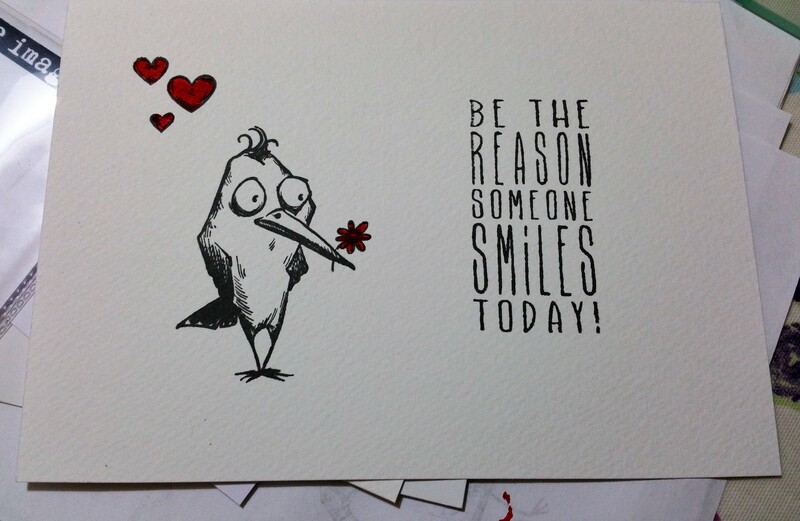 Easy to stamp and fun to colour. 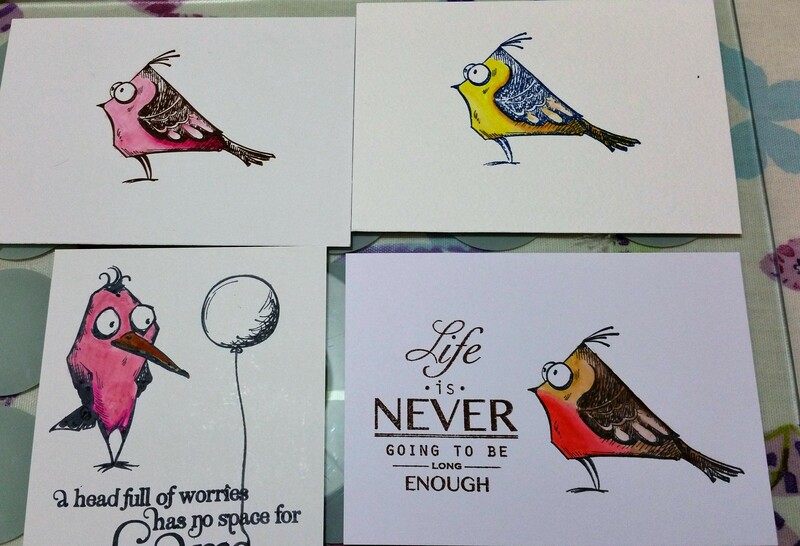 But first of all – which ink to stamp with, on which paper and what to colour in with. Now why had I thought this was going to be easy? 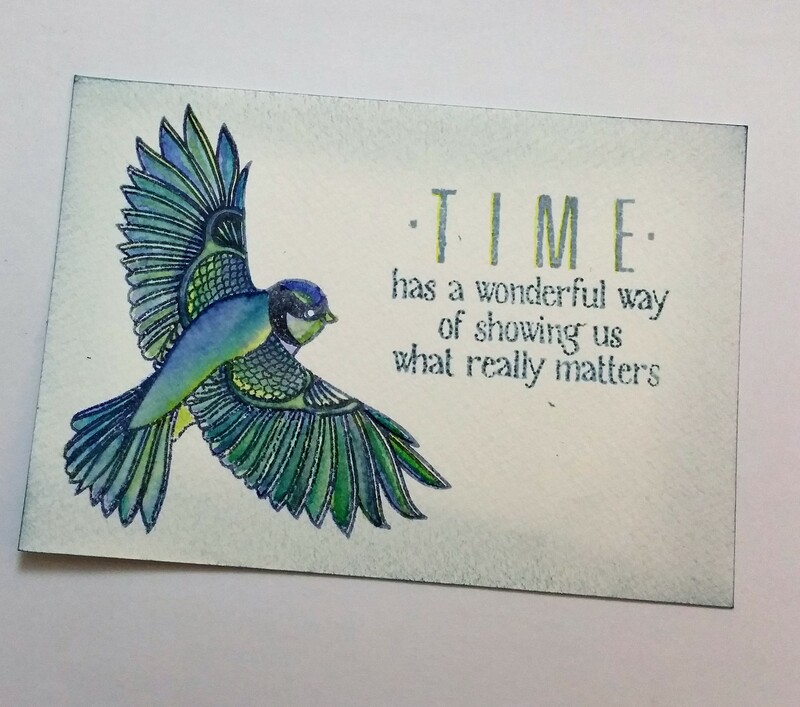 I had put out Archival and Memento ink pads for stamping with, had given them all 3 types of card stock, coated, water colour and stamping card, and to keep things really simple just distress markers and alcohol markers for colouring in. what could possibly go wrong? 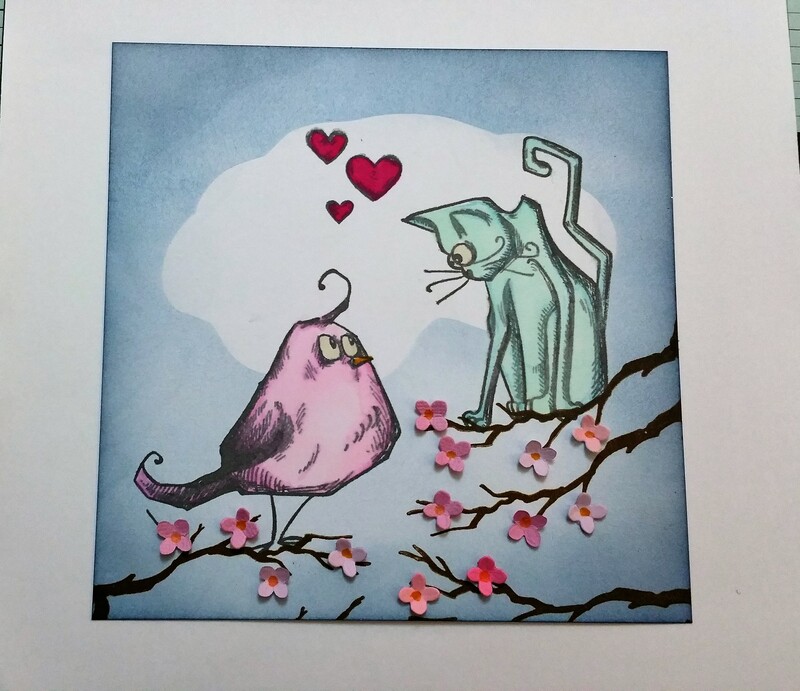 If you stamp with Memento (permanent dye based) – colour with alcohol pens ( Spectrum noirs, pro markers etc). 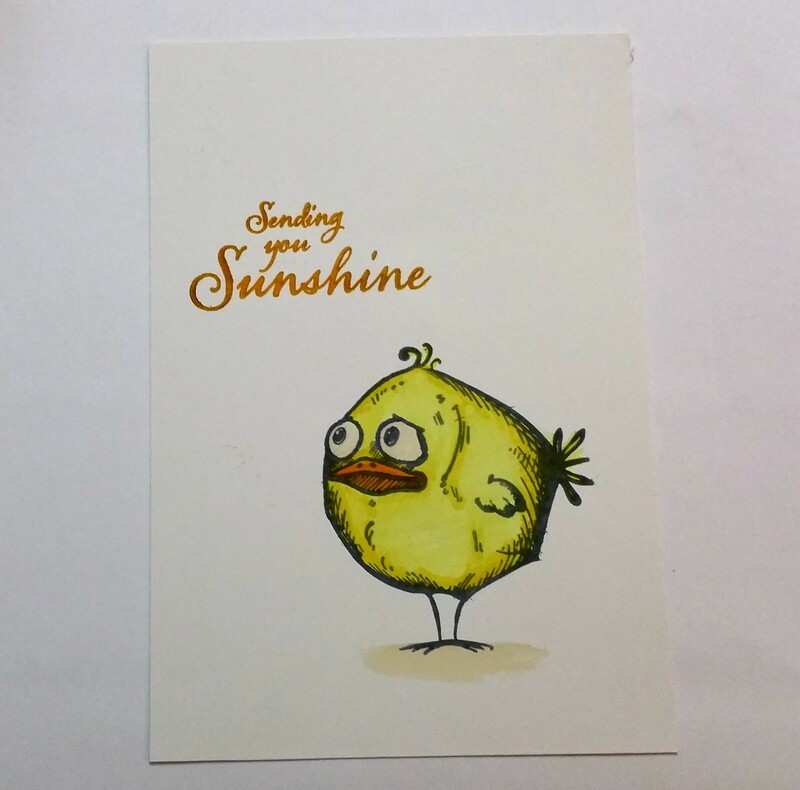 Card type to use coated or stamping card. They were all given plenty of scrap paper to practice their stamping and for testing colour combinations etc and told to just have a play around hmmmmm. It did take a wee while for it all to sink in and I did get a bit worried at one point when I spotted someone trying to use a water brush with the alcohol markers, but, after a ‘few’ minor errors, they became more confident to the point of using masks for multiple stampings and to using the Crazy bird accessory stamps too. 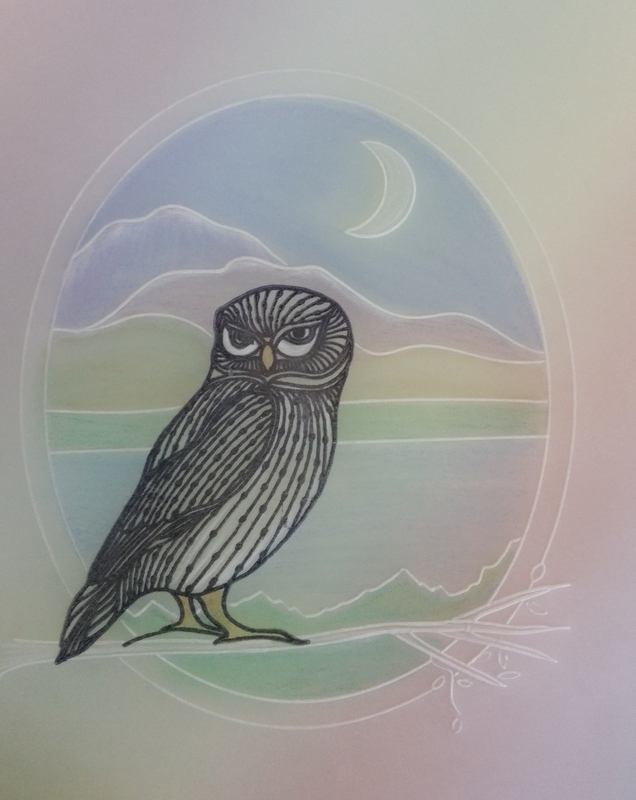 Not quite a Crazy Bird, more a Clarity bird with gorgeous water colouring from Lisa. Thank you for visiting, next week is the second Saturday of the month which means its ‘Groovi’ Time. and please accept my apologies for the lack of posts during December. 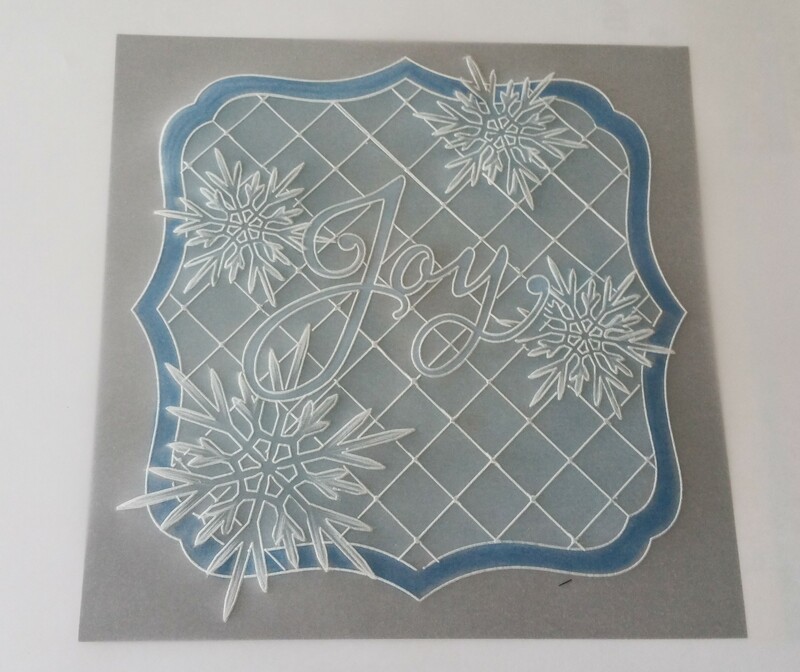 I was just sooo busy with making xmas cards, presents, orders and hosting work shops on top of my actual work, work, that something had to give and I am afraid it was my blog that suffered. But that is all finished with now. 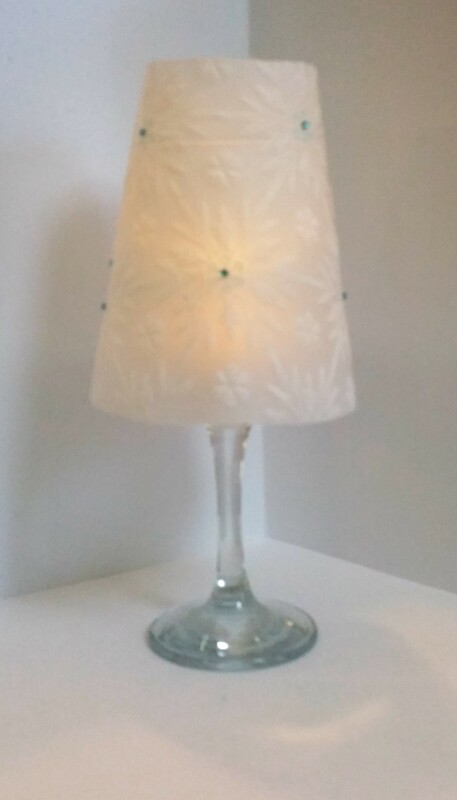 After a complete switch off over Christmas and New Year period my batteries are recharged and am now planning lots of fun things to do in the Craft Room for the coming months. This being the 2nd Saturday of the month means we start back with a Groovi® session for which I need to give special thanks to Maria Simms and Barbara Gray for the inspiration. 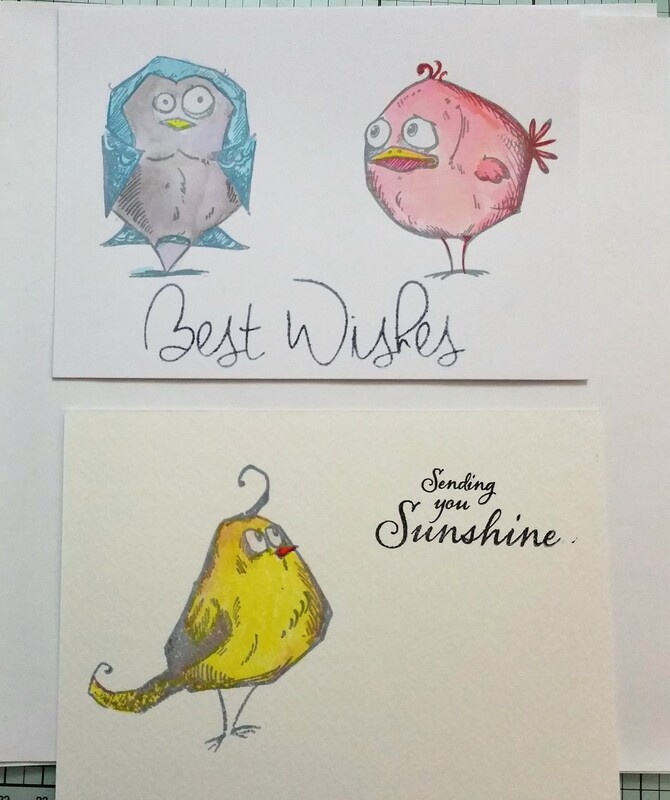 The Groovi® Parchment system developed by Clarity Stamps has become extremely popular here in the UK (good luck with the US launch Barbara) and the ladies in my craft group are loving it too. 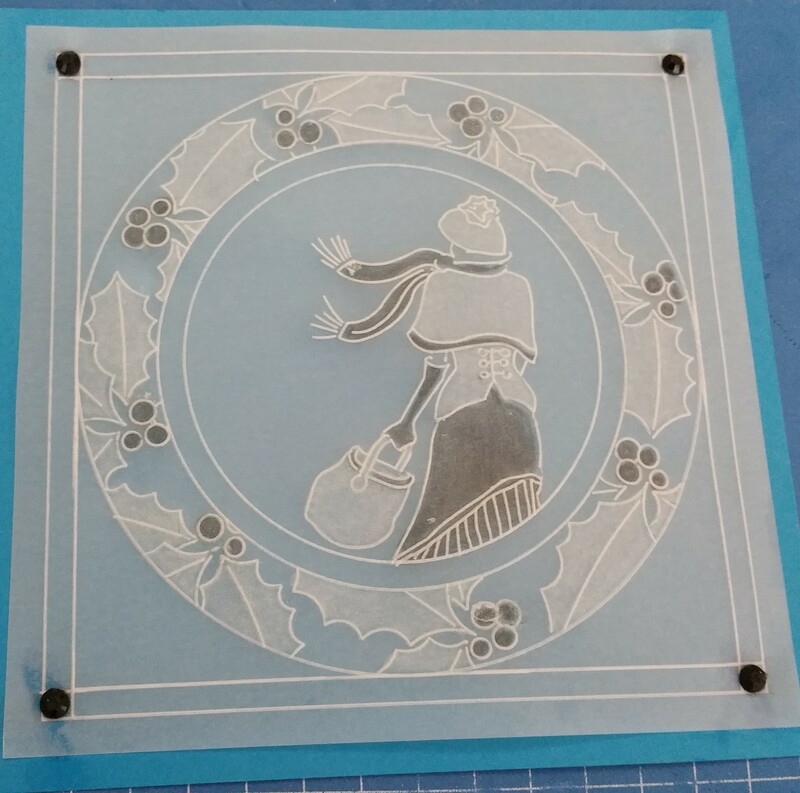 And as luck would have it Barbara Gray featured them on Hochanda last Sunday demonstrating how to use with frames etc and Maria Simms very kindly blogged a step by step using the Holly plate. 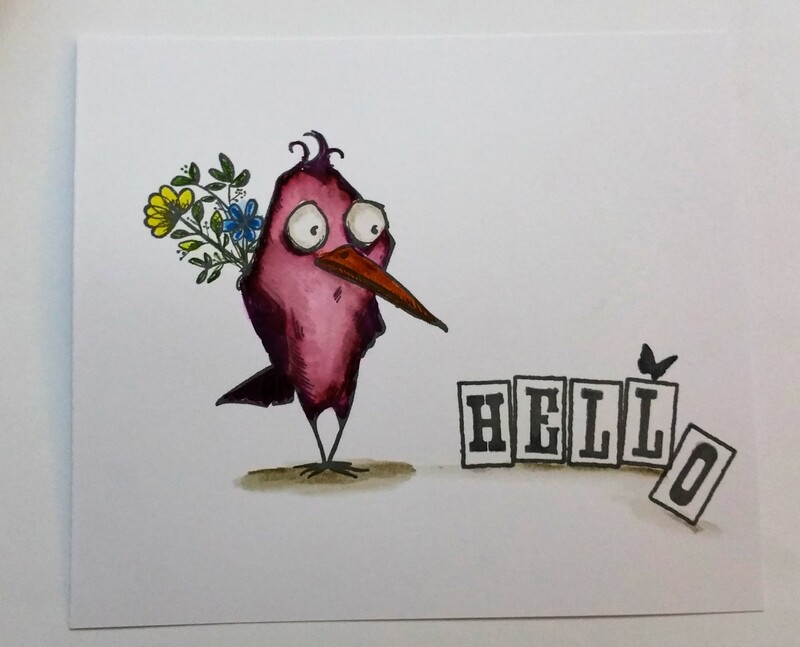 Colour in using only black and white pencils. There were a few moans and groans about filling in with the pattern at first but peace soon descended as they started on their pieces. I really should do this every week its bliss lol. 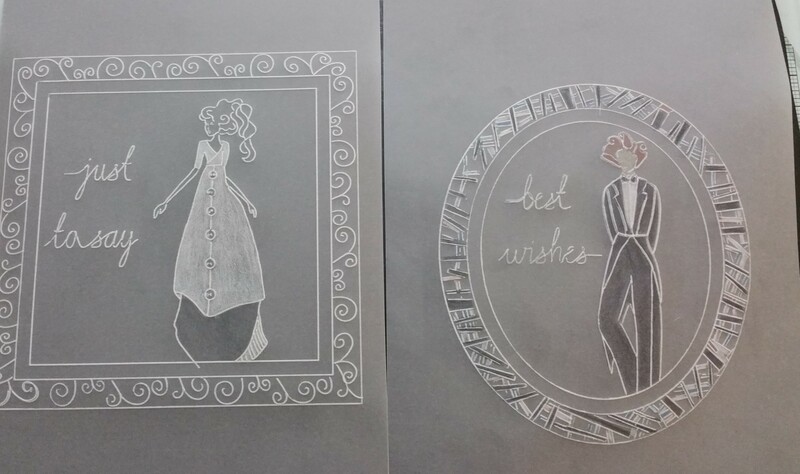 These are some samples of their work so far, despite the moans and groans I think the frames look really good and they had to agree with me in the end lol. 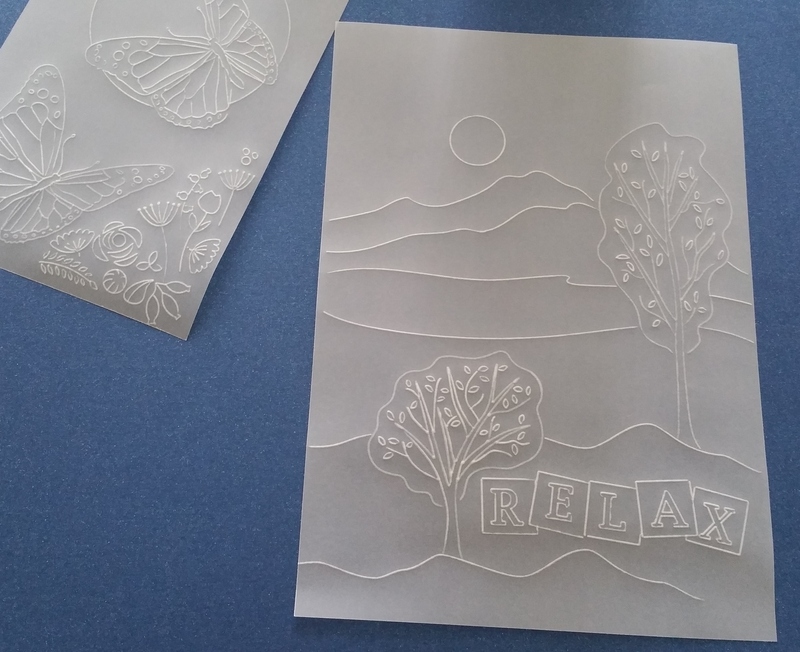 Today has shown the ladies that a white pencil in their tool kit is now essential but, although it is great for turning out a quick card it is not a replacement for the time and effort spent embossing the white work properly on those special cards(though the pencil can also come quite handy for touching up where necessary too) The dimension and shading you get with embossing cannot be replaced with the pencil but there is certainly room for both techniques. 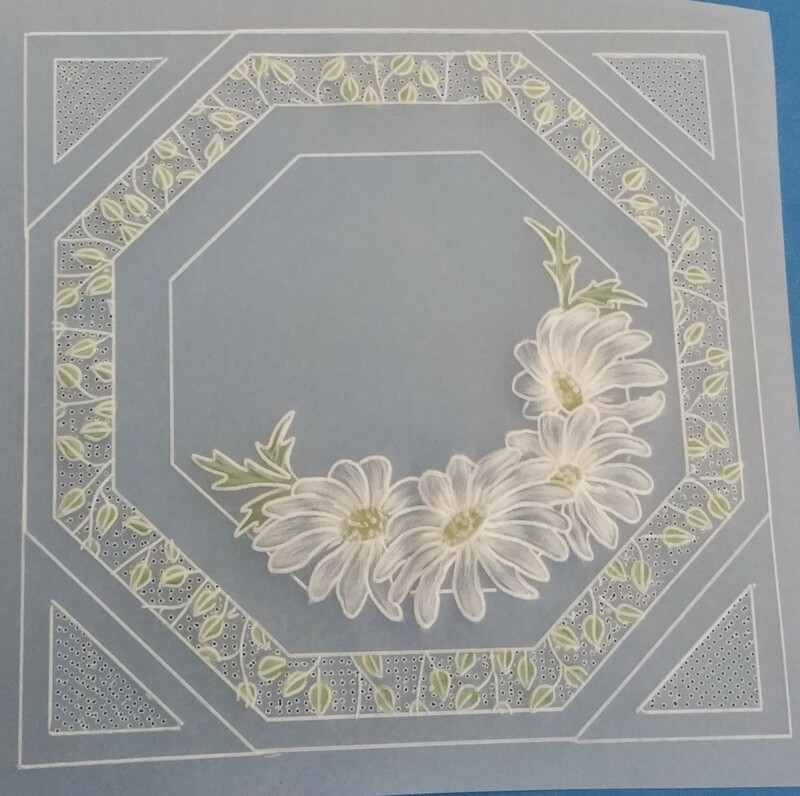 This is still a work in progress with the daisies having now had 3 sessions of embossing on them, think I am nearly there, but just thought I would show so you can see the difference. Yes! 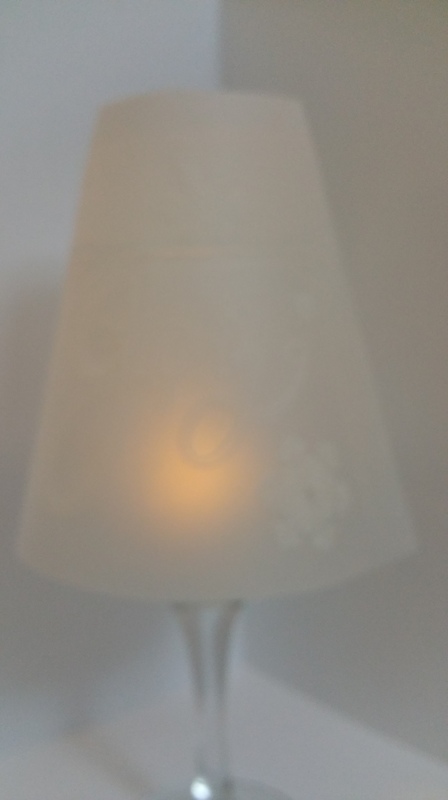 parchment lampshades, and I must apologise in advance for the quality of the photos to follow. parchment being transparent is not easy to photograph especially with a light behind lol. so please bear with me on this. Please do not try to make a round one with the square template or a square one with the round one. It will NOT work, believe me I tried. 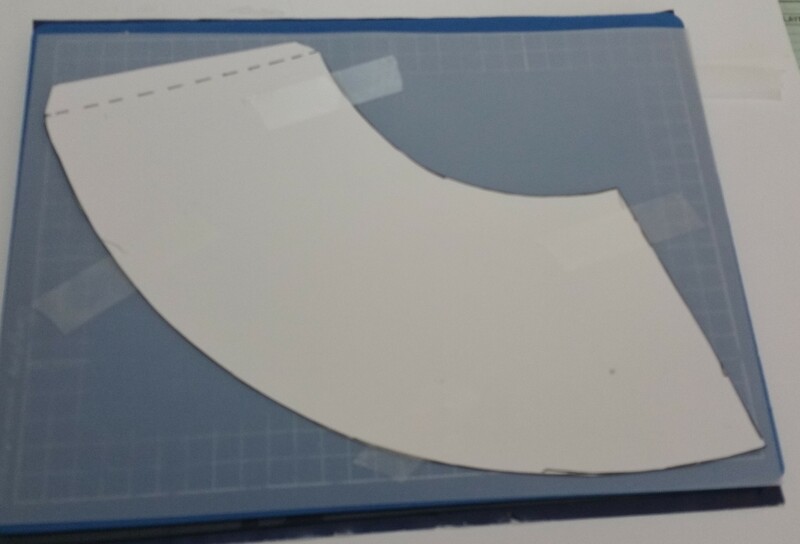 Once you have decided which shape shade you want and have cut out your template (I very kindly had pre cut all the templates for the group). Tape it to your parchment with low tack tape. Cut round the template. 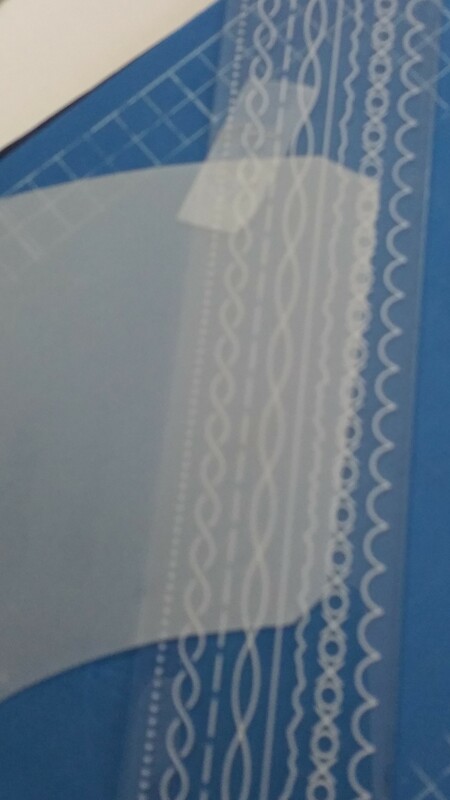 (We found this a lot easier than trying to draw round) and just make a little nick at each end of the dotted line to mark the overlap flap line, then just peel away the tape. 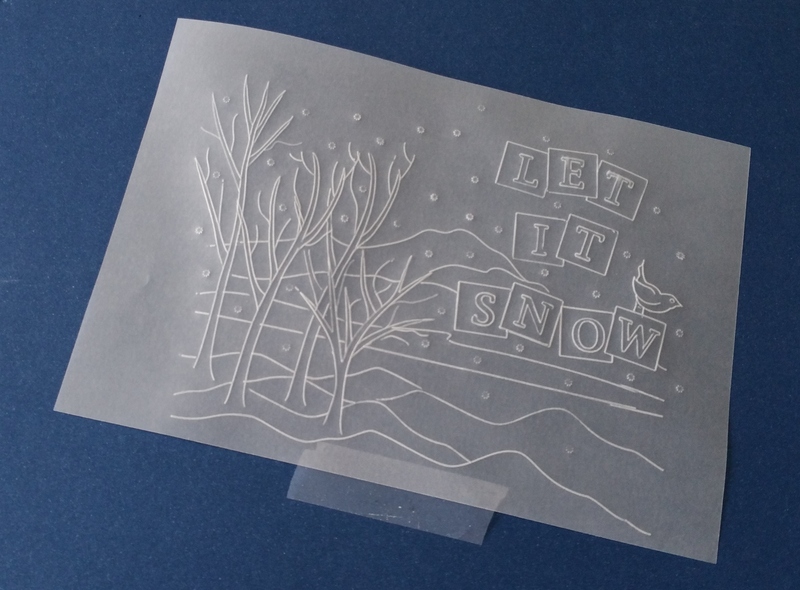 and score with the no 1 end of your embossing tool. They do look really lovely, these photos are not doing them justice, sorry. 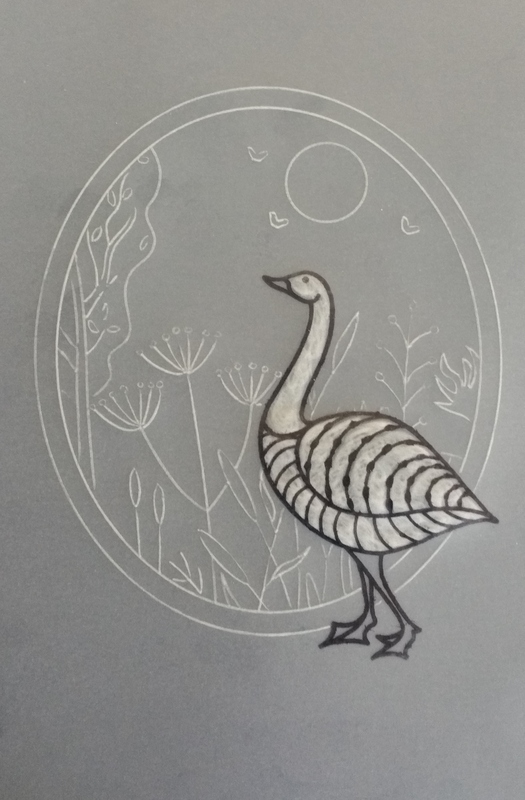 I have also now found some coloured velum in my paper stash, its a bit thin but if I am careful……..
We are using Clarity Stamps new “Groovi”® parchment system to help us to learn the basics of parchment craft and to hopefully go onto the more skilful elements. Here is the link to Barbara Gray’s you tube video Groovi introduction. 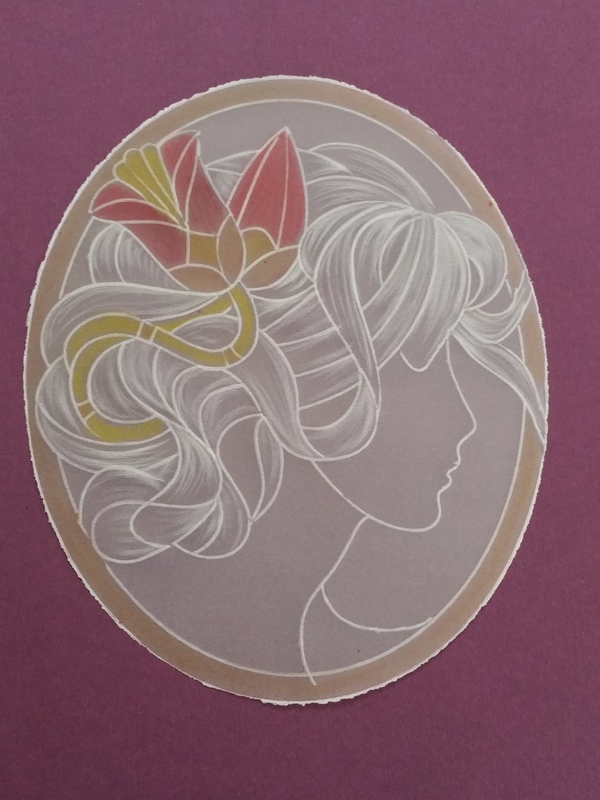 for any of you are interested in finding out a bit more about it -this system basically makes creating the line art required for parchment craft so easy anyone can do it. I am not quite sure what happened to October, but having just realised that I have not posted anything for a month I thought I had better do a couple of posts to catch up and show that we are still here and busy crafting. 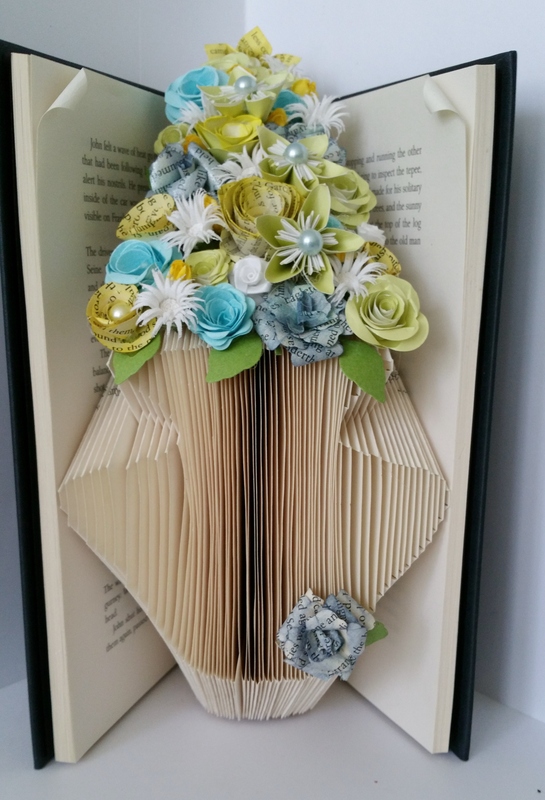 It was the second meeting of our book folding group on Saturday 31st October, (the group meet on the last Saturday of the month – next meeting is 28th November) and another full house which was brilliant. If anyone would like to purchase the full Alphabet (includes upper and lower case letters, numbers, punctuation, ampersand and a few small shapes too) it is £15.00, or if you would like us to just make you a specific word pattern it would be 50p per letter, just PM me for more information. We hope to bring out a couple more alphabets in the new year so watch this space. 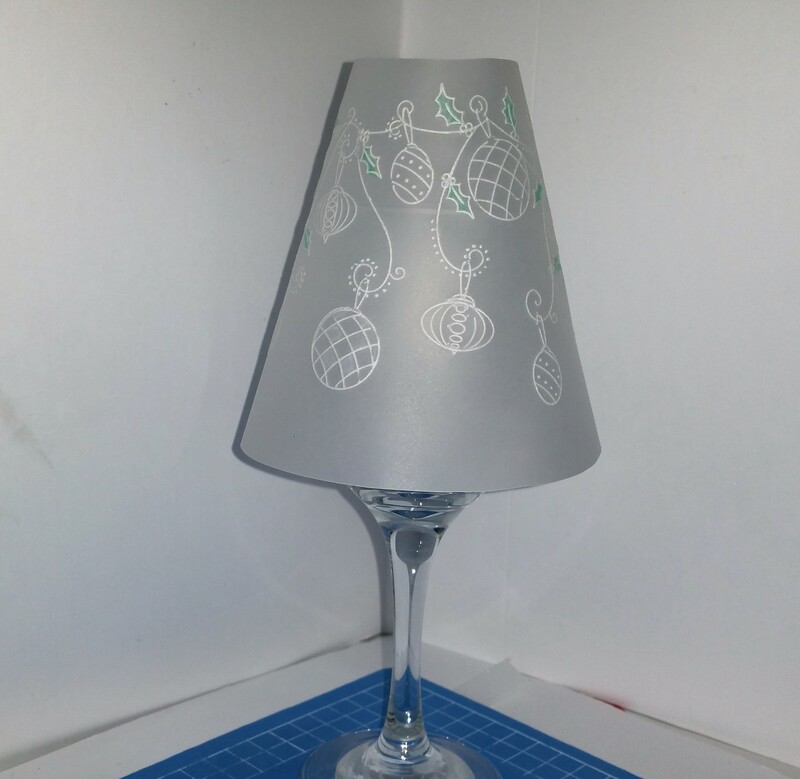 We have also designed a couple of Christmas patterns with hopefully more to follow. 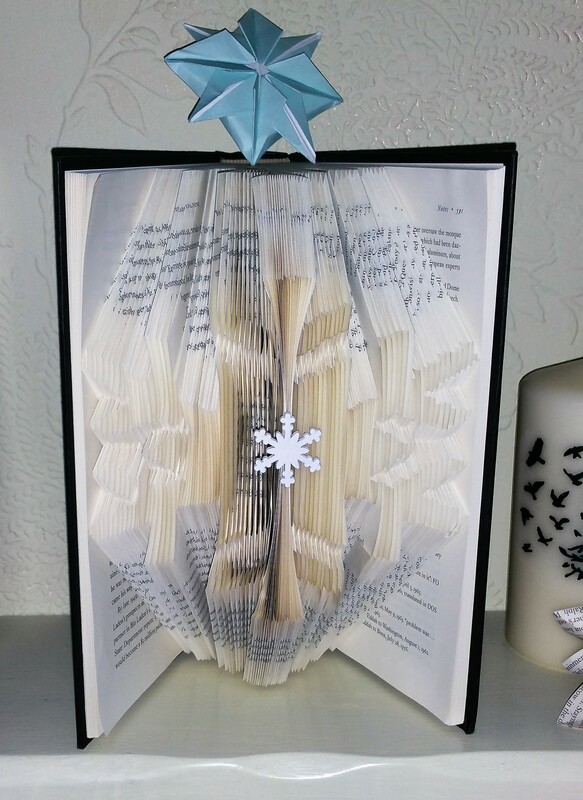 There will be a Christmas book folding workshop on Saturday 21st November and Tuesday 8th December both 2pm to 5pm with an extra one now to be held at the Scarborough Anglers Club on Monday 30th November. Please note that these workshops are to be held locally in Scarborough (UK) just PM me if would like to book. 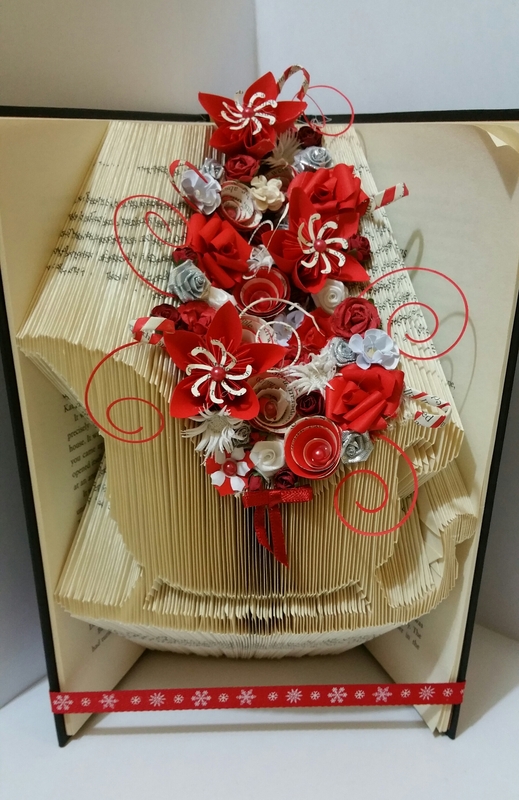 Cost is £10.00 and includes all materials to make a Christmas angel, you will also be shown how to adjust folds to make other items too. Sorry it is short and sweet and better late than never lol. 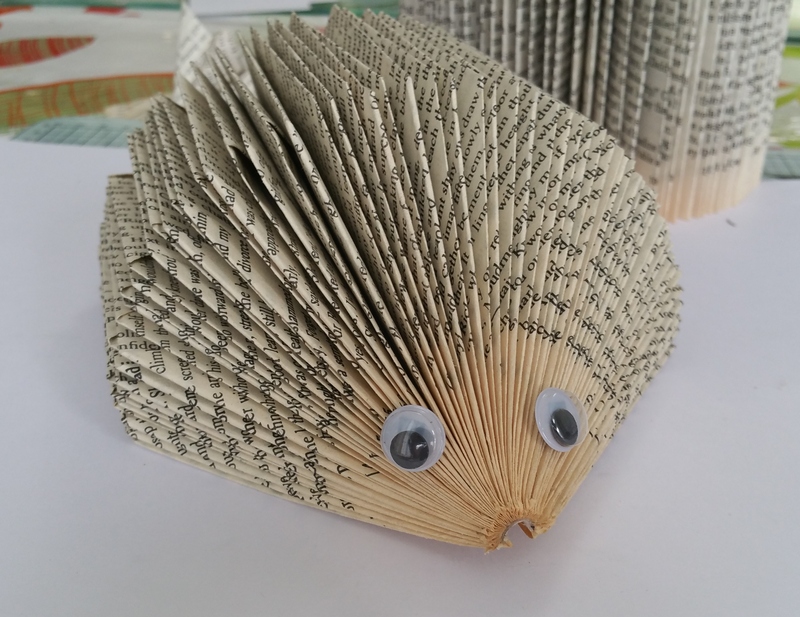 The Craft Room 10th October 2015 – its Groovi Time again. Its the 2nd Saturday of the month and, going with the new format for the craft room, its time for some more Groovi practice. Still inspired by Maria Simm’s samples from the Clarity open days at Catterick, she had a lovely little multi photo frame on show with just parts of pieces of parchment work in each aperture. 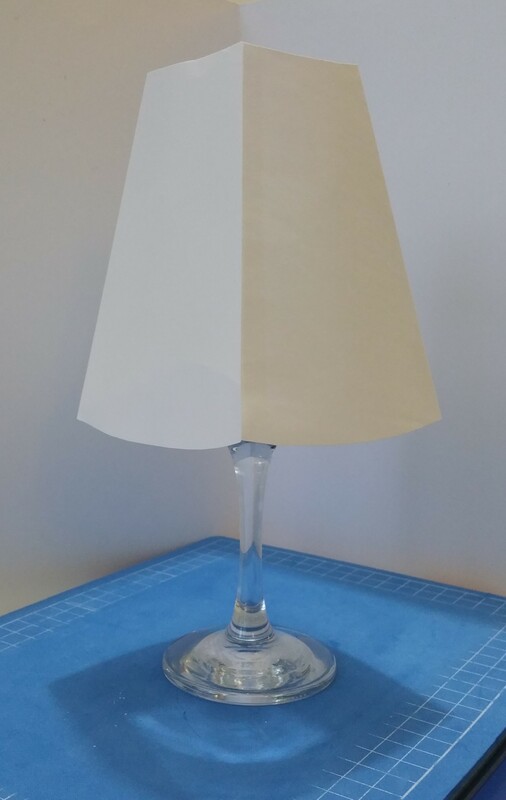 I thought this was such a good idea especially for the group to do as they had lots of practice pieces and its also good for using up all those excess pieces of parchment left over from projects. 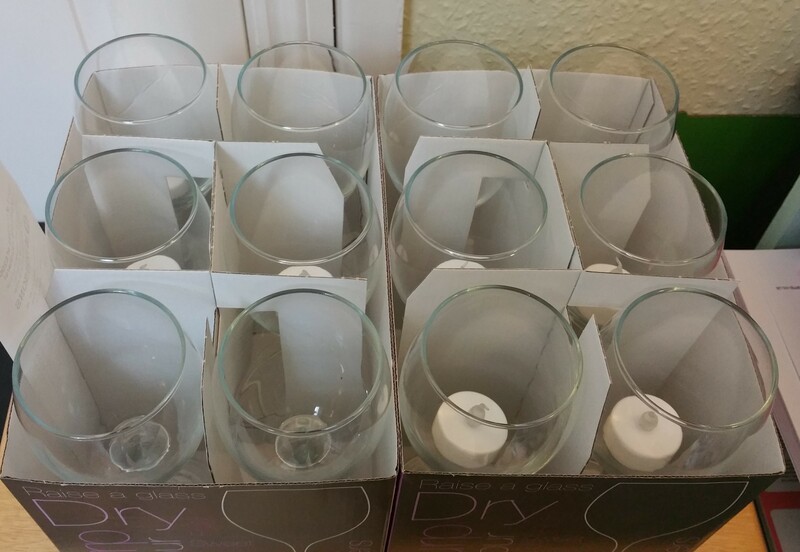 Lisa and I searched all over to find some similar frames to no avail, but not deterred we decided to “make our own”. 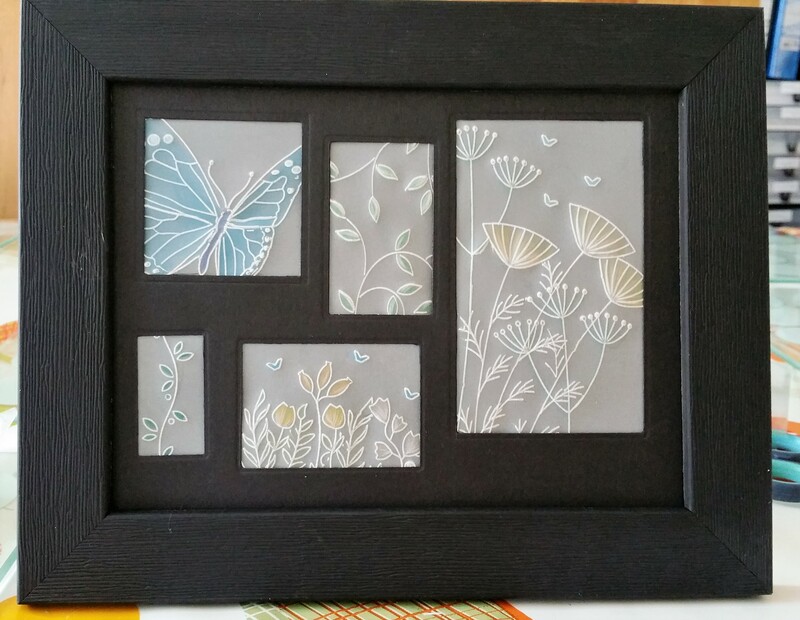 We found some lovely black 6″ x 8″ frames in The Range and by pooling our rectangle and square dies made a mount template to fit. It may just need a thin secondary mount next to the frame to break up the black but hopefully you get the idea. It was then that it dawned on me that the Crealies new Patchwork die sets would also work brilliantly to do a similar version as cards and I just happened to have a couple of sets. These dies are available from Oyster Stamps.co.uk and there are several different ones available now too. They have an offer on at the moment too – 4 sets for £50.00 hmmmm. Everyone has taken their frames home with them to complete so I will hopefully have some finished work to show you after our next Groovi session which will be on 14th November. 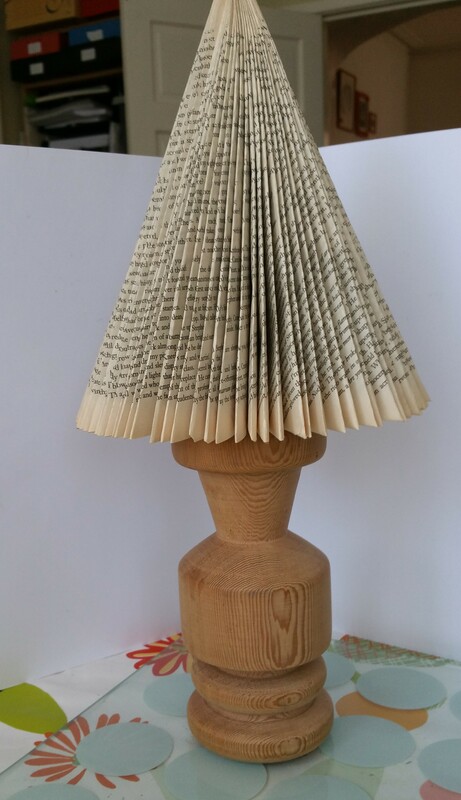 I have also set up a Pinterest Groovi board so if any of you want some more parchment inspiration please go take a look. 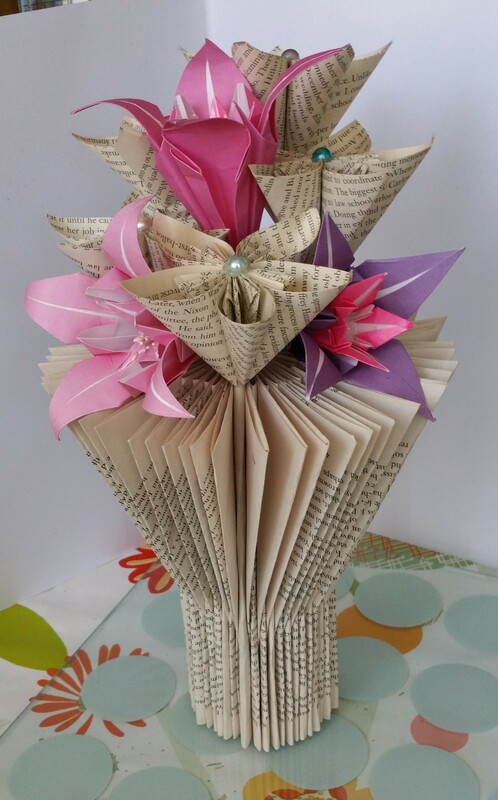 I decided that on the last Saturday of every month instead of a normal craftroom session we would hold a book folding forum group instead so this Saturday being the last Saturday of September we had our first meeting and it was lovely. 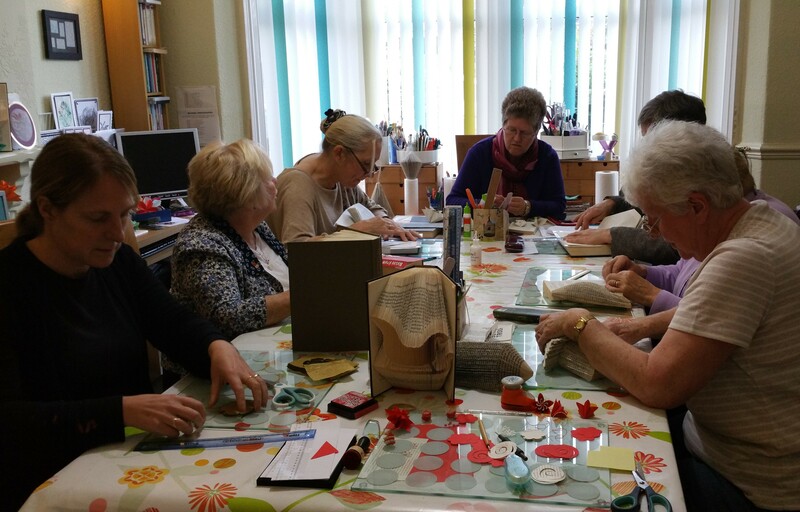 All but one of my normal craft group turn up along with some of the ladies from the summer workshops. 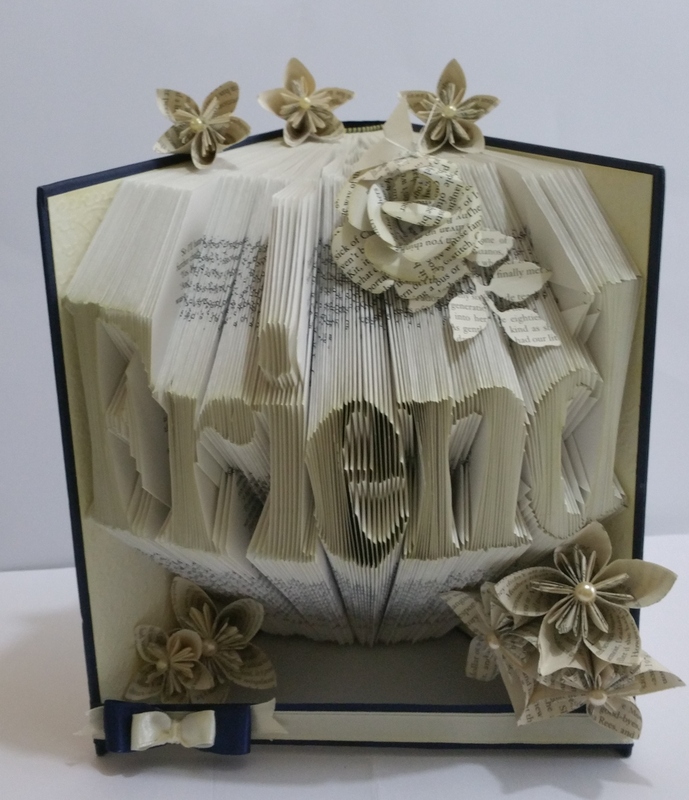 It was lovely to catch up with everyone and to see what they had been getting up to since the introduction to book folding. There were lots of questions and queries and I hope that between us we managed to answer most of them and show a few new ideas too. 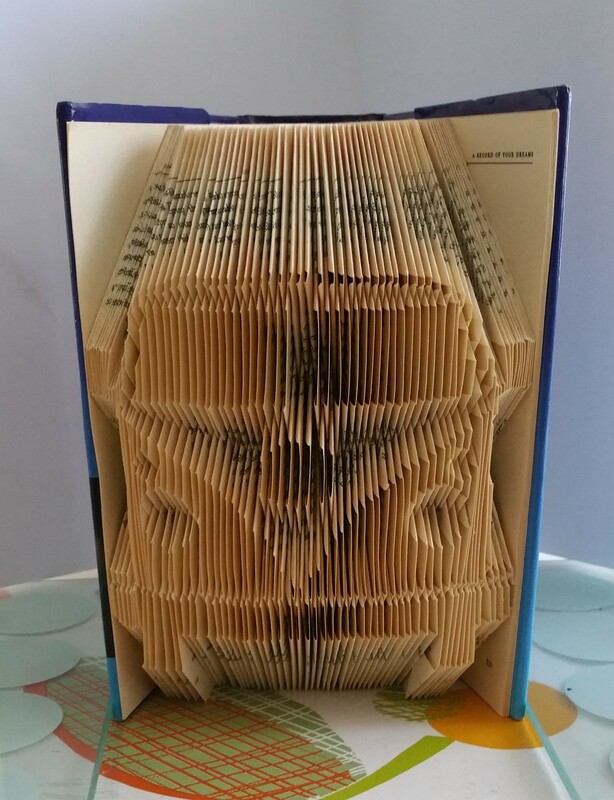 Irene one of our regular crafters had a problem with a book she was folding for a present. “It just doesn’t look right” she said “can you have a look at it for me” I asked my daughter, Jenna, if she could check it to the pattern as it definitely did not look right. And she solved the problem pretty quickly. 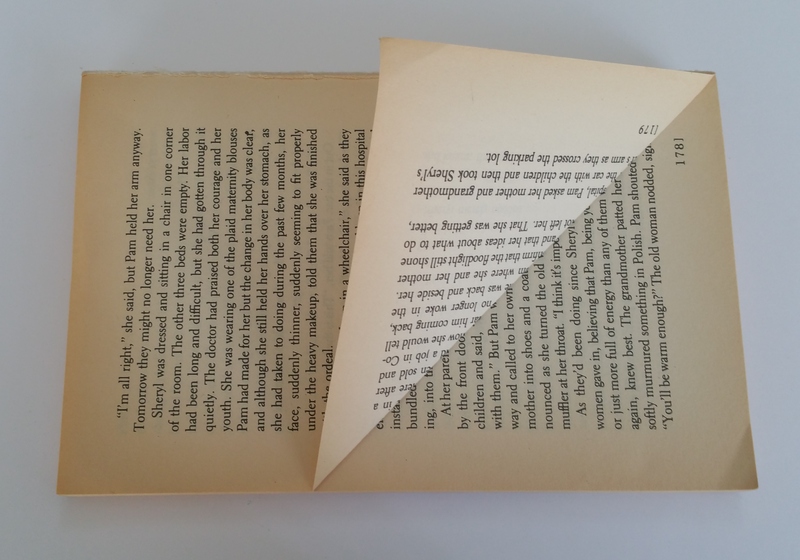 Irene is left handed and some how she had started measuring and folding the pages with the spine of the book away from her, oh dear we still don’t know how she managed that one lol. but it made a great example for the newbies. 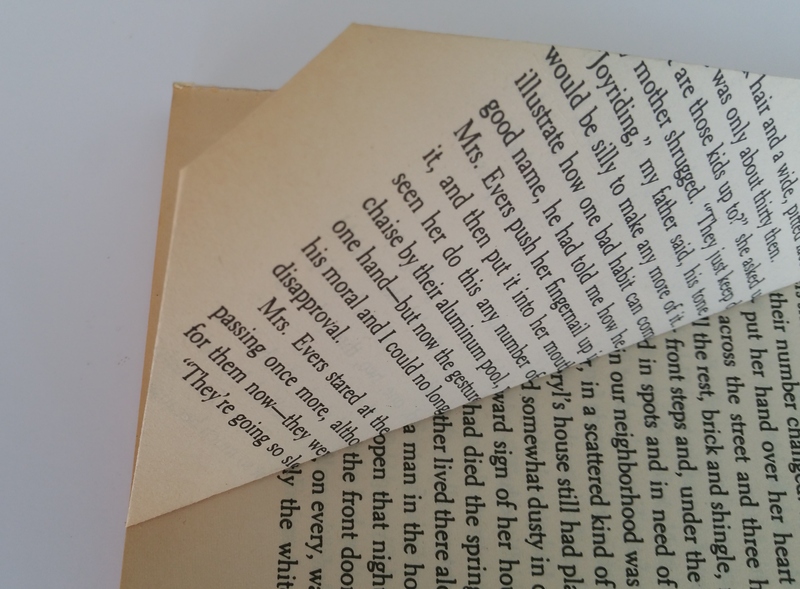 When folding a hard back book from a pattern you need to have the book with the spine nearest to you and you should be able to read the title from left to right – that way you know the book will be the right way up. They say the best way to learn is from your mistakes, I don’t think Irene will be doing that again lol. 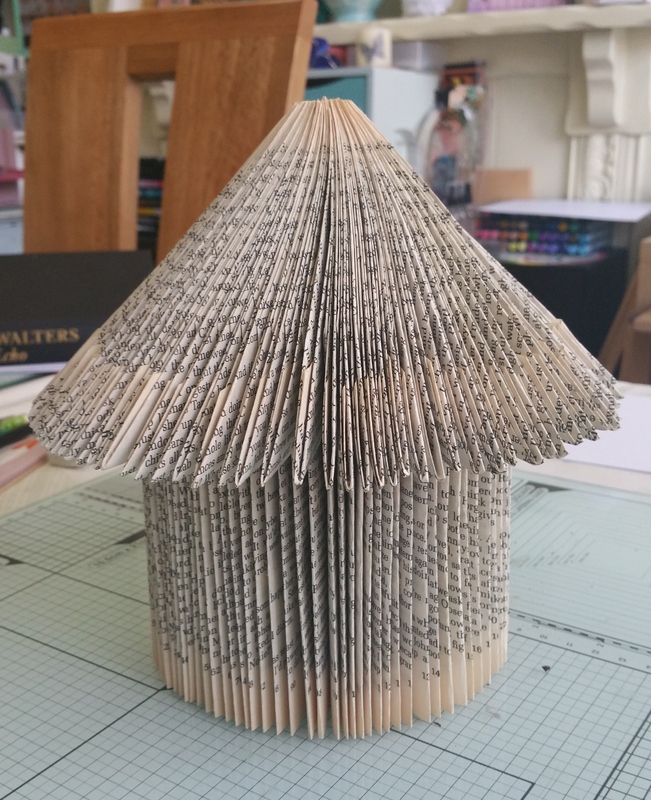 What are the folds for the bird house and how many pages do you need? 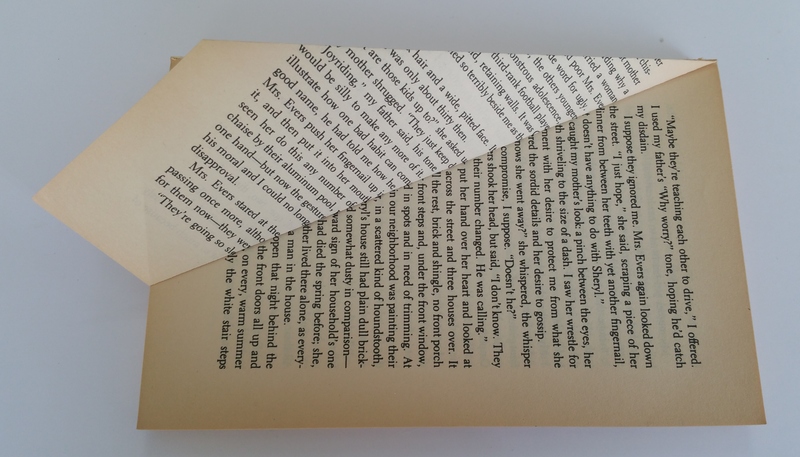 You can just leave it as it is or as I prefer to do – tear the page up at the spine from the bottom half way up folding the bottom point to the top point. How do you do those flowers again? 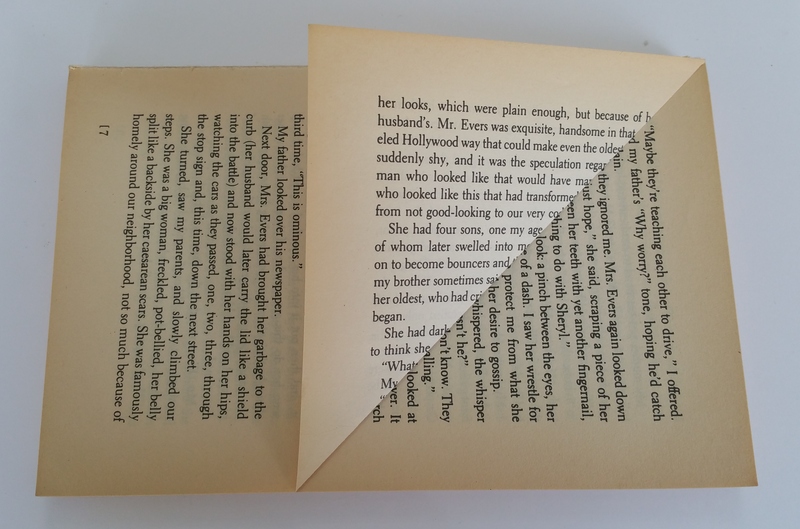 When you have folded all the pages you then just go back and fold all the half fold pages in half again to the spine but DO NOT crease the fold so you get a rounded edge instead. then just fill with some of you favourite flowers. 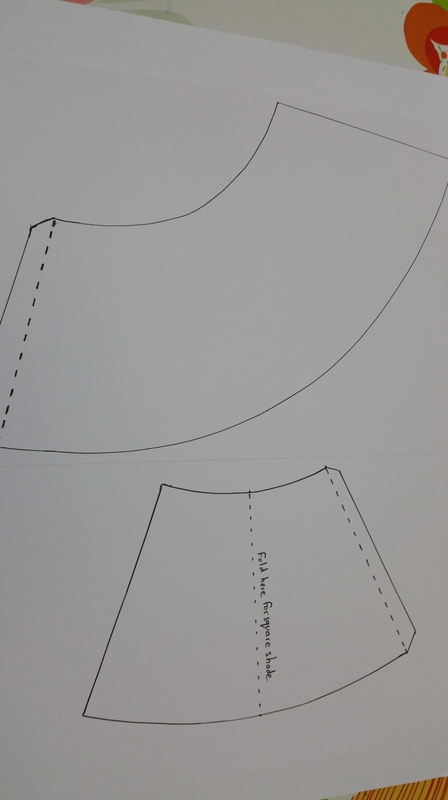 Jenna and I have also been trying our hand at pattern designing now too, as we want to stay on the right side of pattern copyright laws (ie no copying or sharing of bought patterns) we thought it would be easier (not quite that easy) if we designed our own. We are still learning the process but have had some success and now have a few patterns available for members. I just have to show you Jenna’s latest success. I know a few people who will love this one. 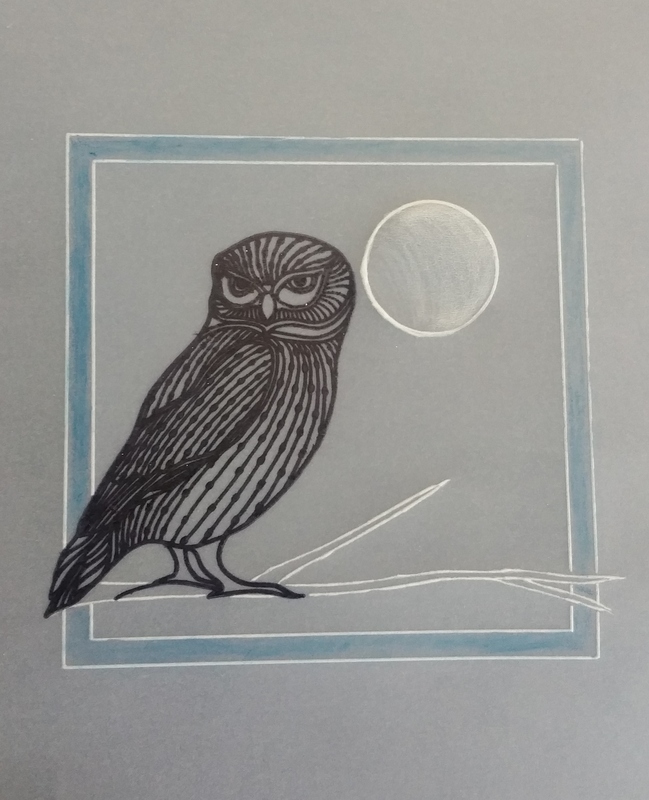 We used the starter kit and one or two other plates that I had acquired prior to the session and had a great time playing around and learning the basics. Here is the link to her you tube video Groovi introduction. 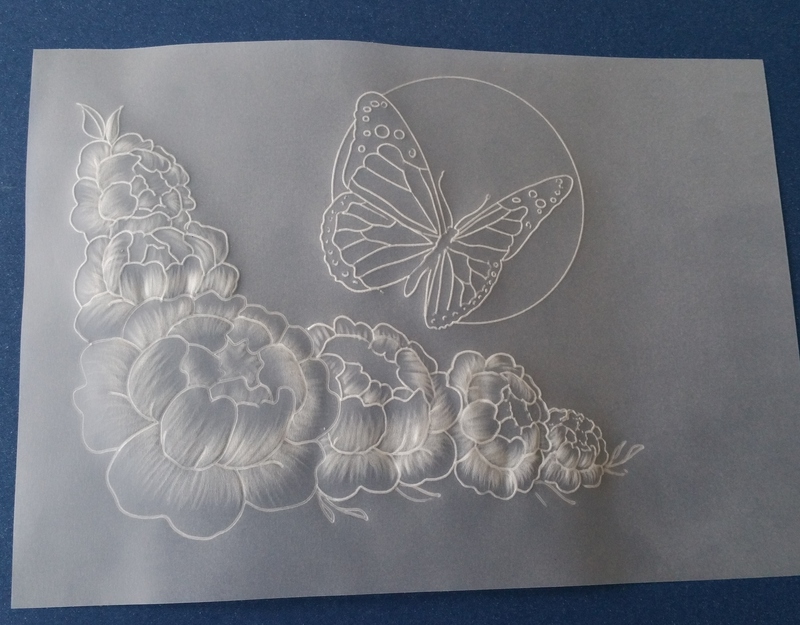 if any of you are interested in finding out a bit more about it -this system basically makes creating the line art required for parchment craft so easy anyone can do it. Luckily for me it was also Clarity Stamps Open days at Catterick last week end and Lisa and I had a fantastic day there on the Sunday. Because of the size of the venue (huge) tables had been set up for “Groovi ” make and takes with Barbara Gray, and to which we signed up immediately for on arrival. 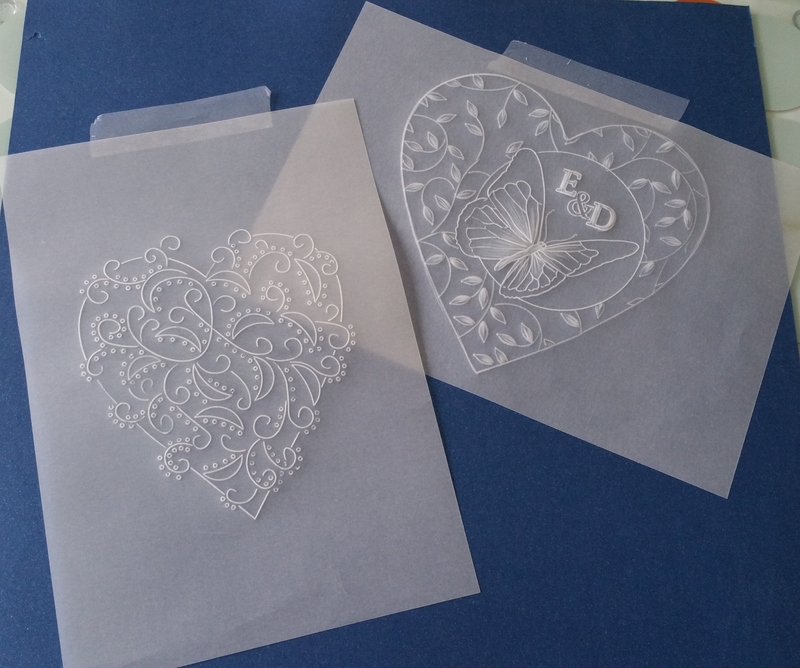 As well as plenty of hints and tips about using the the Groovi system from Barbara there was also a lovely lady taking part who was an experienced parchment crafter. Not only was she very impressed with the system, after the make and take she very kindly stayed on to show a few of us some shading tips and I must admit to staying and chatting with her for quite a while- a lovely lady. 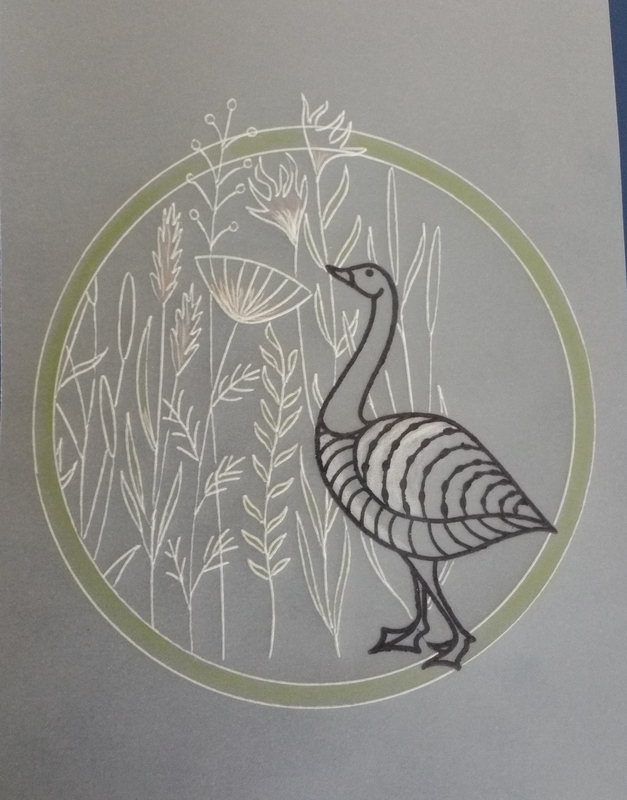 We then moved onto the Demonstrator’s tables and while watching Maria Simms showing her newly acquired parchment skills which included how to incorporate stamps into the mix. 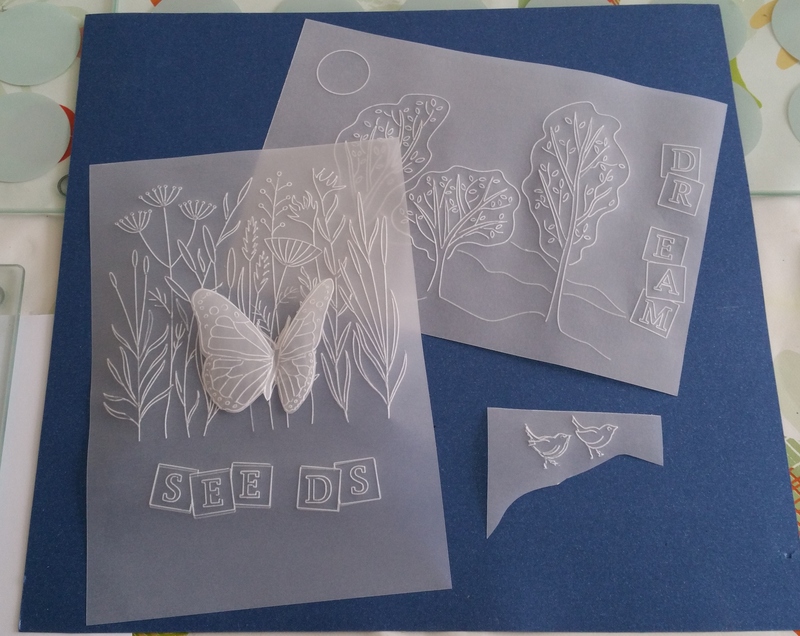 I was really taken with some of her samples and demos, so taken in fact that I asked if she minded if I used one of her ideas for our next Saturday craft session, Luckily Maria was quite happy for me “borrow” her idea. This week I had said we would tackle shading/white work and basic colouring so my homework for the week was to dig out my old Christine Coleman dvds and refresh my memory on some of the techniques. 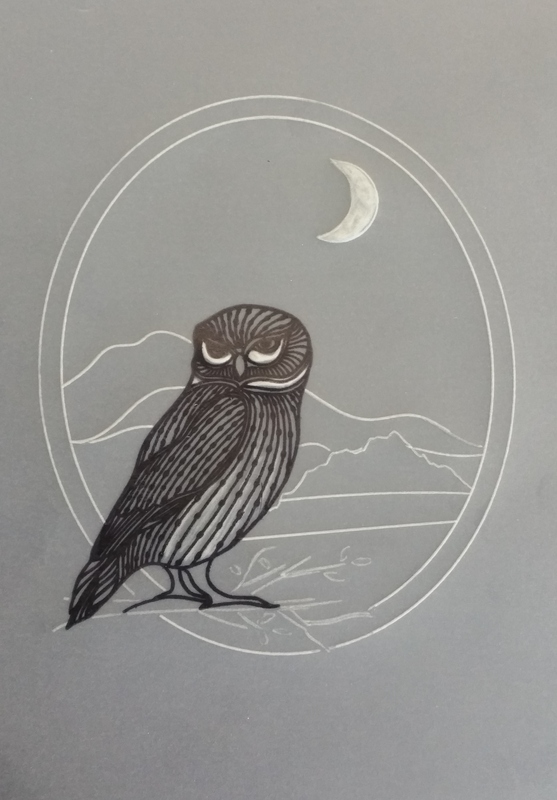 A bit of shading and colouring practice with Clarity Stamps new plate (acquired on Sunday) just had to try this one. 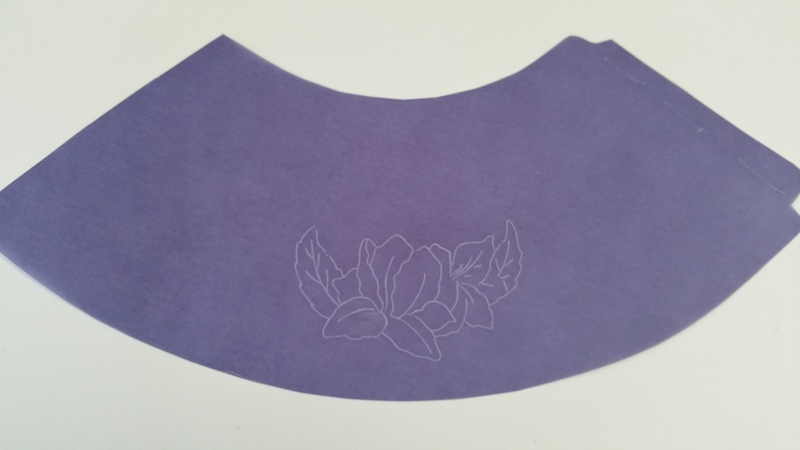 The parchment paper is then turned to the reverse (inked side face down) and placed onto the Groovi plate mate with a shape plate in place and emboss which ever lines you want to use but avoid embossing through the stamped image. 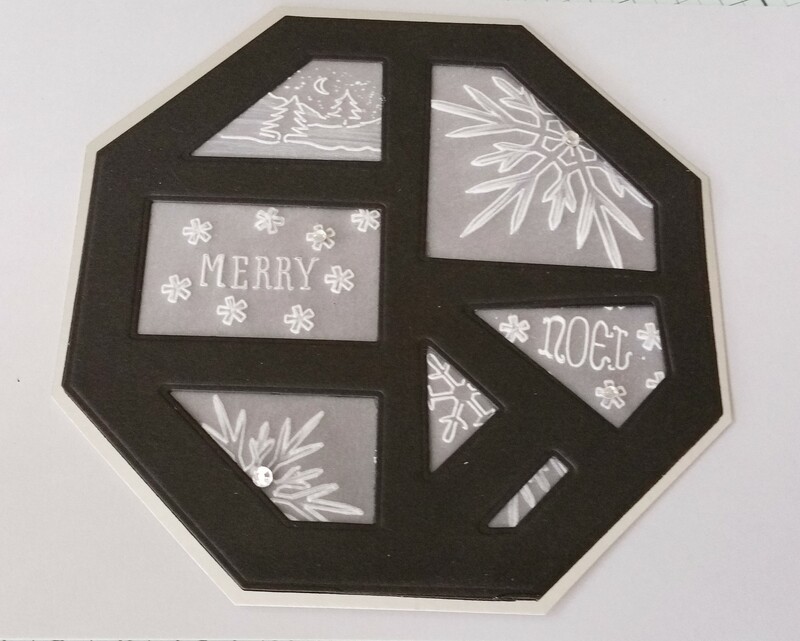 (If don’t have any of the shape plates, using the soft side of the mat provided in the kit place the parchment on the mat with a stencil shape over the top and using smallest of the tools carefully go round that instead) Then change the plates and put a background within the shape. shade and colour. 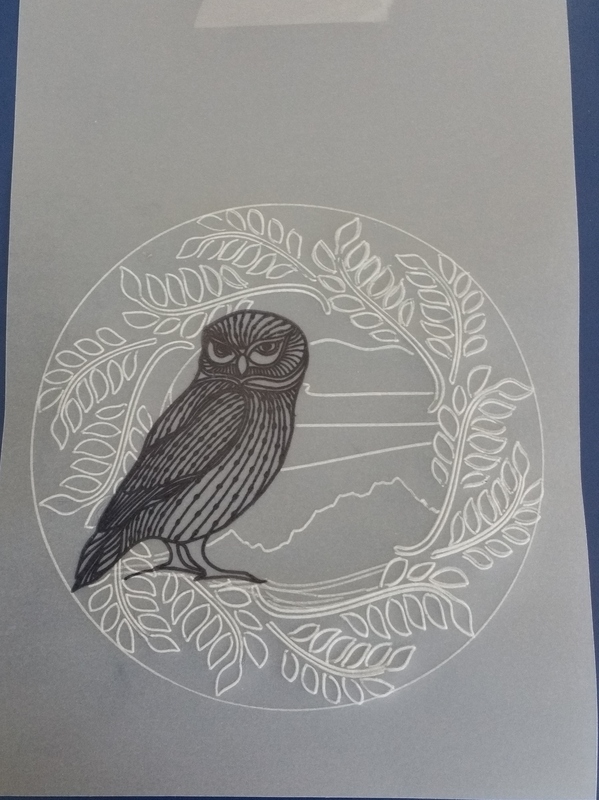 Those were the basic instructions but,as I was going through these with the group, decided I wanted to put the owl on a branch first so out came the trees plate (which comes with the starter kit) and I embossed part of one of the trees to make a branch. 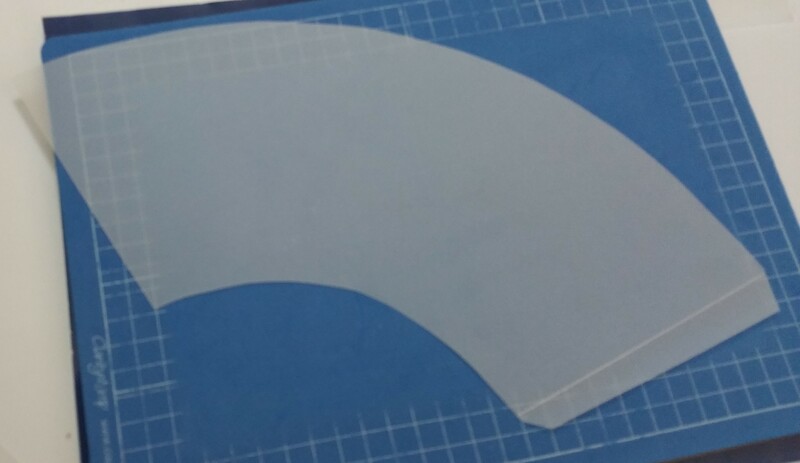 Then embossed in the oval shape again deciding that I wanted a double line.This is what makes this system so good, that you can just take parts of different plates and use in different ways. As there is not another groovi session for 3 weeks now I showed them some basic colouring techniques so they could take their work home to complete and will hopefully bring back to let me see how they have got on. 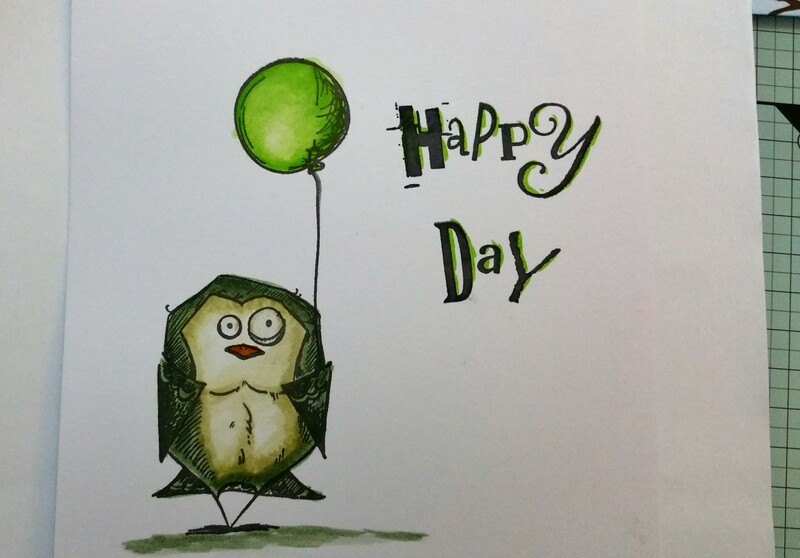 This was coloured on the back of the parchment using Spectrum Noir pencils and blending solution, but can also use oil pastels (with blending solution) , alcohol pens (spectrum noirs, pro markers etc) water colour pens (just be careful not too wet as parchment paper does not like water. 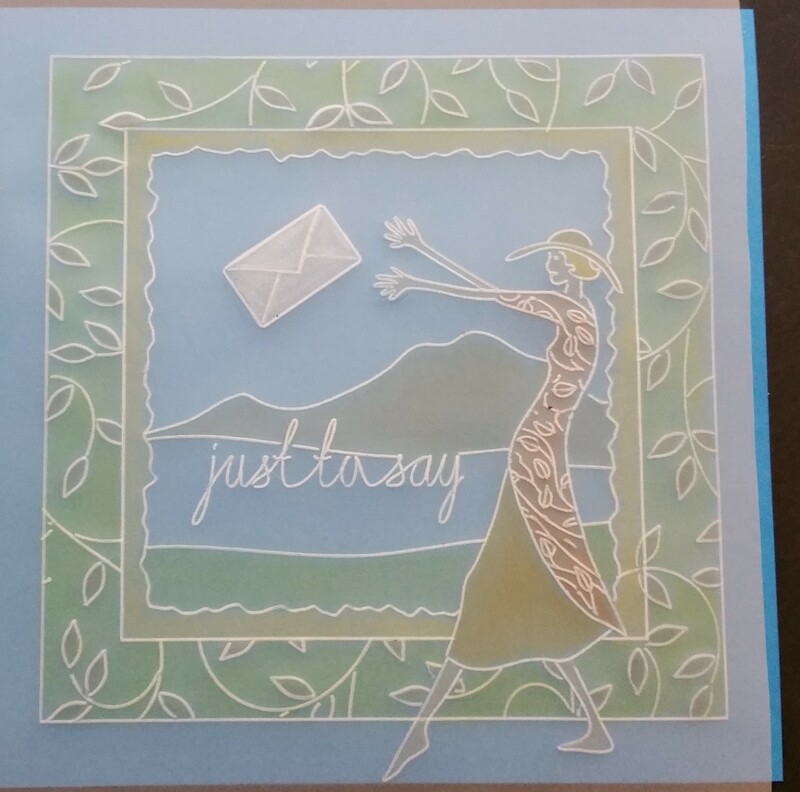 Please check out Clarity Stamps You Tube or Christine Coleman (has some really good tips) to see how it is done properly if not done before. 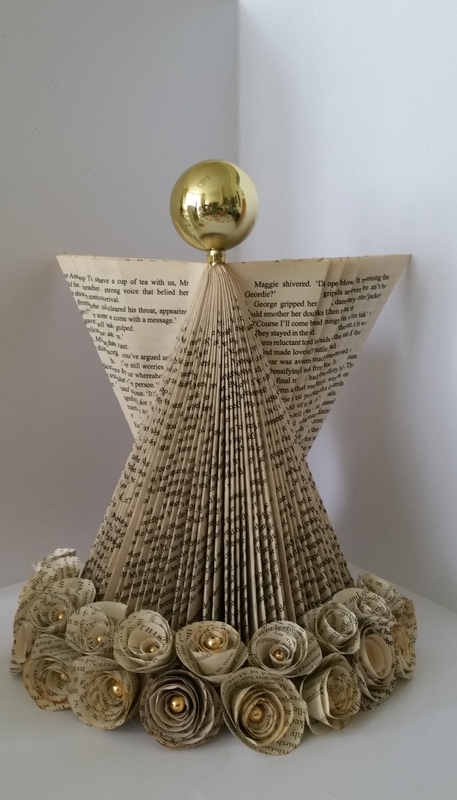 Due to the popularity of certain crafts including parchment craft I have decided to make some changes to the format of our craft room sessions which will mean that they will get to practice the craft on regular basis. 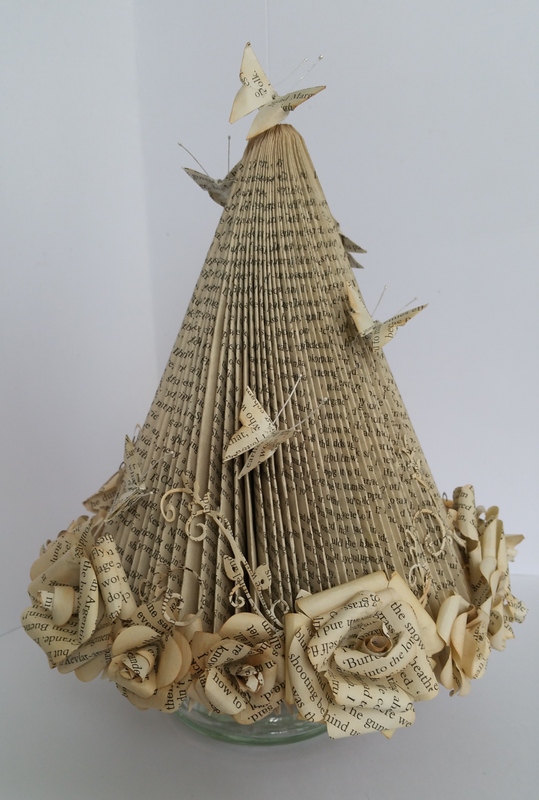 Parchment in the craft room will be held every second Saturday of the Month starting from the 10th October. Any one in the Scarborough (UK) area who would be interested in joining the group just PM me and I will contact you with more details. 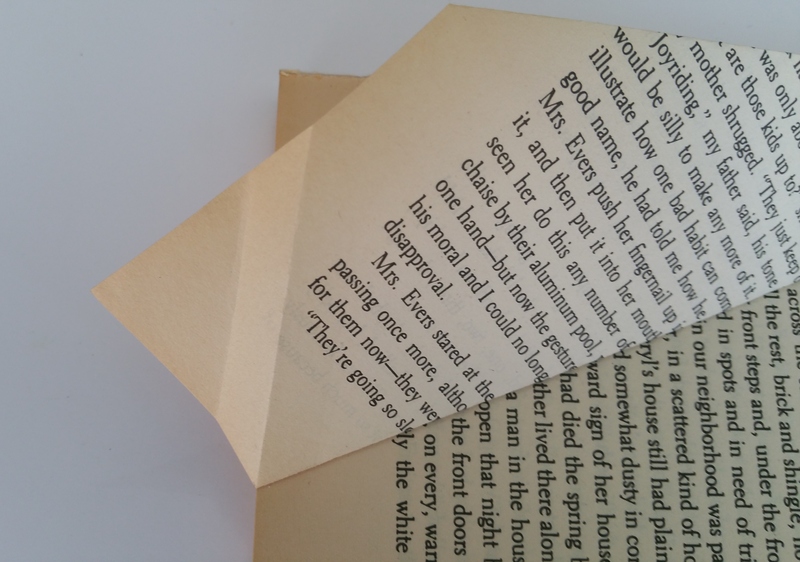 Just a quick post for any book folding addicts in the Scarborough (UK) area. 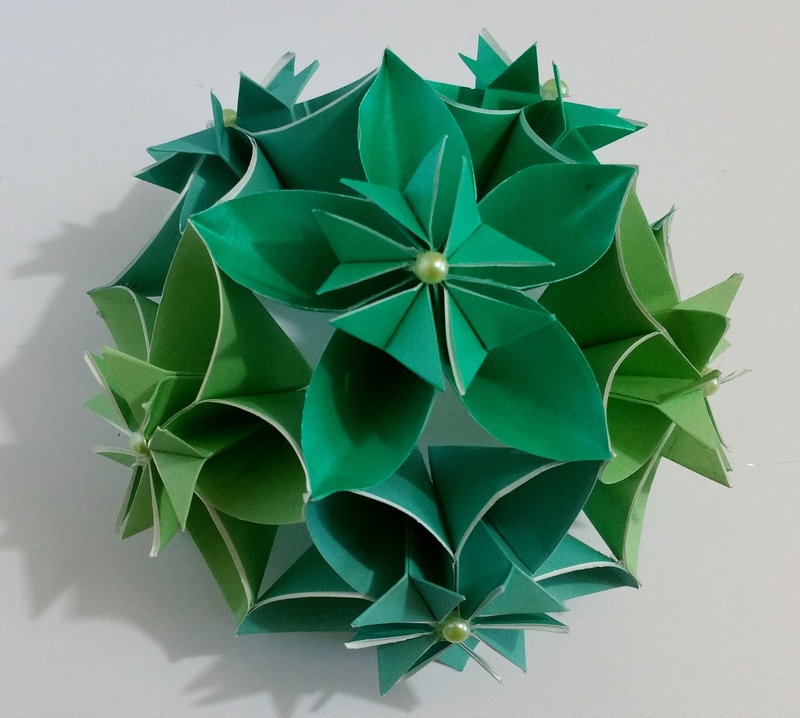 We can help with patterns, there are some free ones available to members, ( though sharing of patterns will not be allowed in the group) and can show best places to purchase. 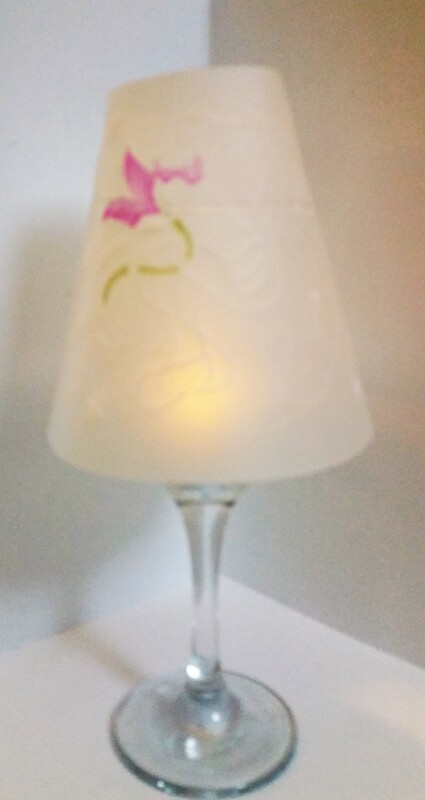 we can also design one off patterns too. Wow, it seems ages since I my last post but Summer is now definitely over now (though still holding out for an Indian summer lol) and we are all now back and ready to craft. This Saturday, as promised we got in the “groove” with Clarity Stamps new “Groovi”© parchment system. Barbara Gray and her team at Clarity have definitely come up with a winner with this system. When it was first launched I was not so sure, I used to do parchment crafting years ago (still have all my tools too) but as it was a craft that was very time consuming I reluctantly had to let it go, so I watched for a while and the more I saw the more I realised that this system was going to let me get back into parchment crafting again. Also, because everyone needs to have a set of tools and mats etc I have never attempted to teach it in the craft room – until now. A few weeks after the initial launch I explained to everyone about the new “Groovi” system, and asked if they would be interested in some classes. 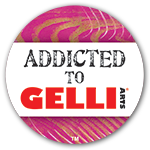 Kits were ordered and dates were organised for a September start when everyone had finished with holidays and weddings etc. So, what is this “Groovi system? The starter kit which I had convinced everyone that they needed comes with the “Groovi” plate mate (the perspex rectangle with the square aperture) 2 plates, 2 double ended ball tools 20 sheets 140gsm parchment paper and the mat – hard like a cutting mat on one side and spongy on the other for embossing – very clever and very useful. Instead of me trying to explain this system I think it would be easier if Barbara showed you herself – here is the link to her you tube video Groovi introduction. 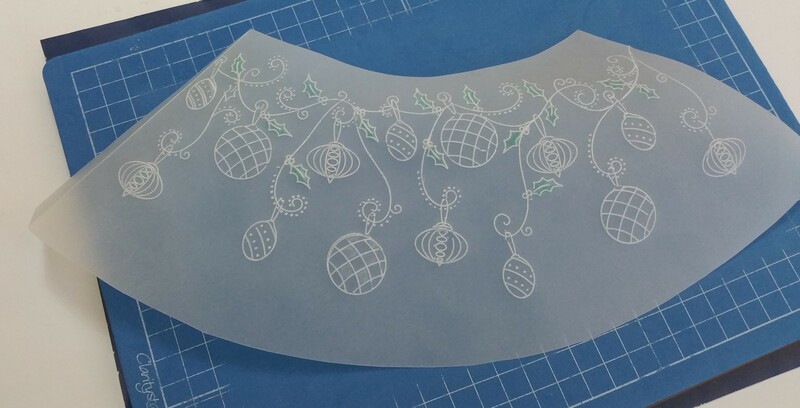 The system basically makes creating the line art required for parchment craft so easy anyone can do it. 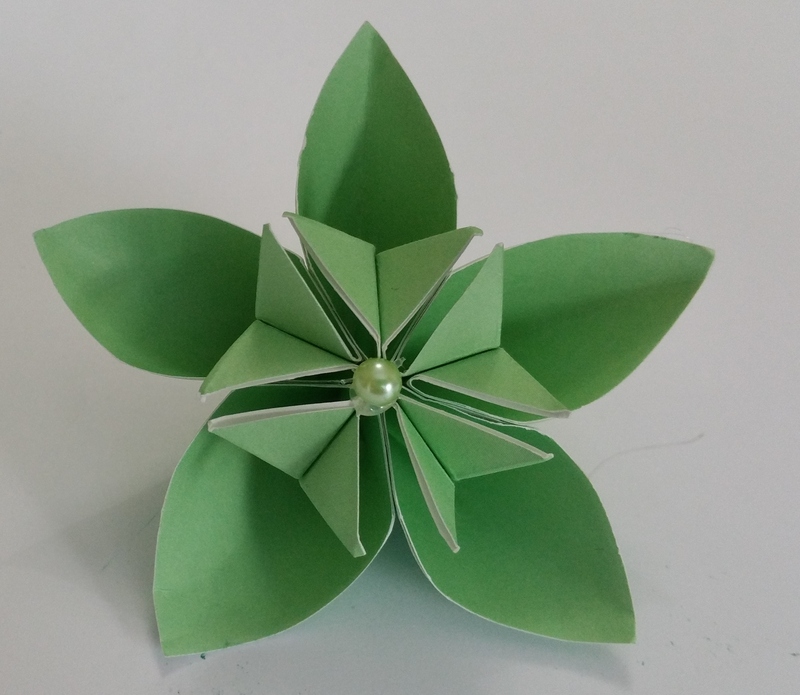 Did I mention how easy they are to make?